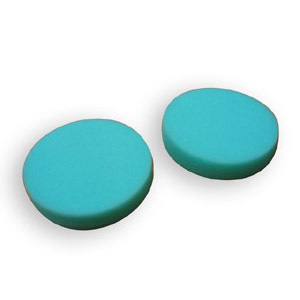 Detail King stocks a complete line of Cyclo polisher pads – both single side and double precision pads. 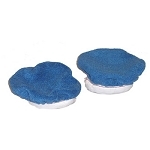 We also offer all the popular Cyclo buffer pads and Cyclo bonnets – both terry cloth and microfiber. 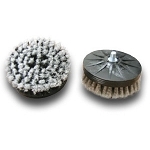 If you are needing to scrub car interior upholstery and carpeting we have all the various grades of Cyclo brushes. 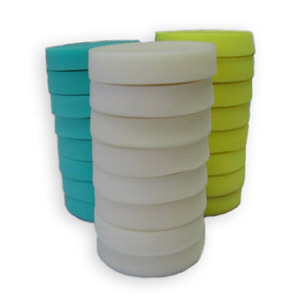 And of course we have Cyclo Buffers for sale, just click the link below to view all of our Cyclo Dual Head Polishers and Car Polishing Kits. 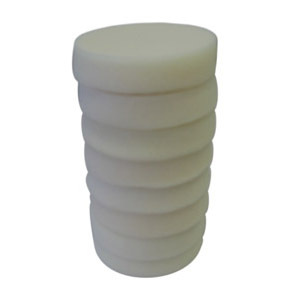 Use these OEM Cyclo Quick Connect Adapters to quickly connect the Cyclo Double Precision Foam Pads. With your Cyclo polisher you can now easily remove paint overspray, tree sap, industrial fallout, pollutants and other embedded contaminants from automotive paint, glass, moldings and plastic. 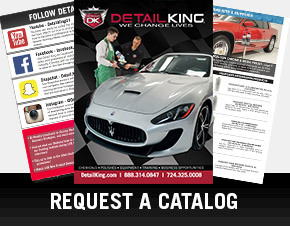 This procedure is an important step in preparing for the paint correction and polishing stage. 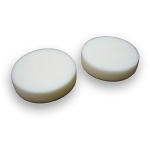 Use these Cyclo Buffer White Finishing Pads for final polishing or application of paint sealant or wax. 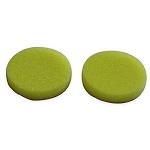 These pads have hook & loop backing (velcro) giving them an easy on & easy off application to your Cyclo Polisher. 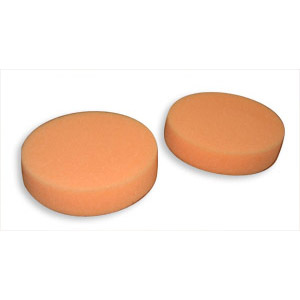 These are our least aggressive foam pads for the Cyclo Polisher. 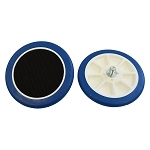 The Cyclo Orbital Head Assembly is the backing plate for the Cyclo Rubber Pad Holders. 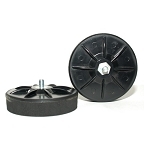 These Cyclo Orbital Head Assemblies attach to the Cyclo polisher which then enable you to slip on the Cyclo Rubber Pad Holders. 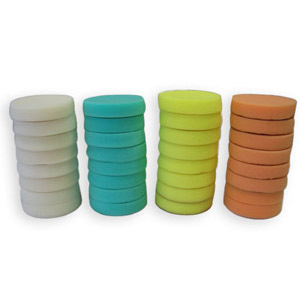 When you purchase these Cyclo Buffing Pads, you receive 4 pair each of Cyclo White Finishing, Green Glazing, and Yellow Compounding pads. 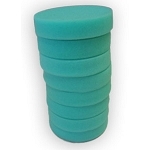 These pads have hook & loop backing (velcro) giving them an easy on & easy off application to your Cyclo Polisher. 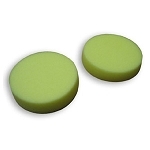 When you purchase these Cyclo Polisher 4 Inch Foam Pads, you receive 4 pair each of Cyclo White Finishing, Green Glazing, Orange Heavy Glazing, and Yellow Compounding pads. 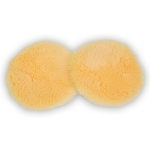 These pads have hook & loop backing (velcro) giving them an easy on & easy off application to your Cyclo Polisher. 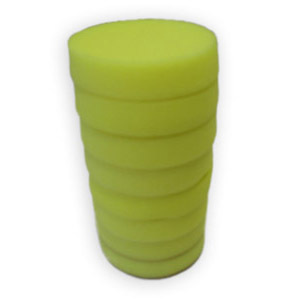 When you purchase these Cyclo 4 Inch Foam Buffing Pads, you receive 4 pair each of Cyclo White Finishing, Green Glazing, Orange Heavy Glazing, and Yellow Compounding pads. 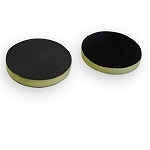 These pads have hook & loop backing (velcro) giving them an easy on & easy off application to your Cyclo Polisher. 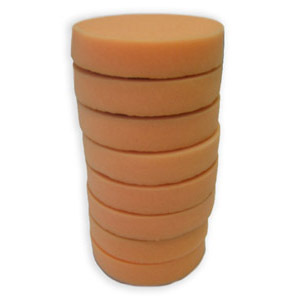 These aggressive Cyclo Wool Pads are designed for heavy-duty jobs, such as pick-up trucks, aircraft, boats, etc. These wool pads are also ideal for polishing aluminum. 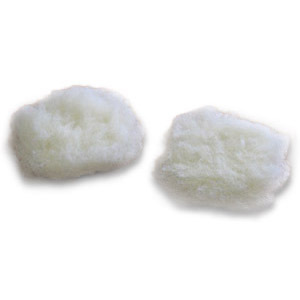 The Cyclo Wool Pads are constructed with a velcro base and a 50/50 blend of 1 1/2 inch polyester and wool and fibers. 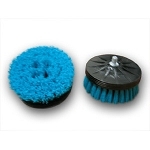 Turn your Cyclo Polisher into a scrubbing machine with these soft aqua Cyclo Carpet Brushes. 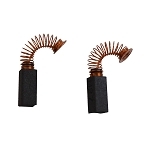 These brushes are ideal for shampooing fabric upholstery and carpets, and cleaning vinyl convertible tops. The bristles of these brushes are slightly softer than our scrub brushes with white bristles. 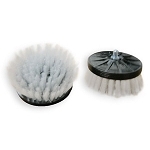 These Cyclo Polisher Upholstery Brushes are excellent for scrubbing carpets, dirty mats, vinyl tops, vinyl convertible roofs, and tonneau covers. These work great in large carpeted areas like SUV cargo areas, mini vans, etc. This Cyclo Polisher Brush Kit will enable you to thoroughly clean the interior and exterior of a vehicle like never before. 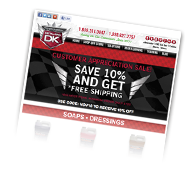 This kit will allow you to scrub down over sized vehicles & trucks while also allowing you to gently shampoo fine imported leather seats & upholstery. 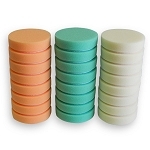 These are not compounding pads but scrubbing pads. They may look the same here on the Internet but they are different. You would use these scrubbing pads to clean tonneau covers, vinyl roofs, exterior body panels that are very dirty; boat bodys, RV's, etc. Also great to remove bugs, tar and road grime! 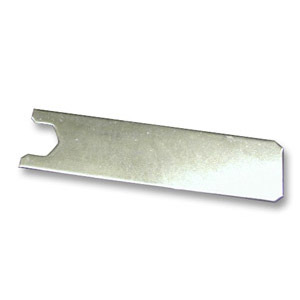 Use this Cyclo Polisher Wrench for removing polisher heads and shampoo brushes from Cyclo machine. 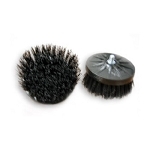 This Cyclo Polisher Carbon Brushes is a replacement Carbon brush for your Cyclo Polisher. Eventually the original brushes will wear out and the buffer will make a higher pitch noise when in use, or quit working. This is when its time to replace the pair. 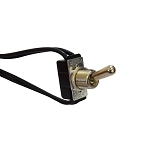 This OEM Cyclo Polisher Replacement Switch is a replacement switch for your Cyclo Polisher. 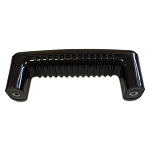 This OEM Cyclo Polisher Replacement Handle is a replacement handle for your Cyclo Polisher. 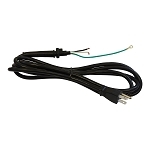 This OEM Cyclo Polisher Replacement Cord is a replacement power cord for your Cyclo Polisher.